The risk of patients taking their own lives varied by the type of cancer they had, as well as factors like their age and gender. People with cancer are four times more likely to take their own lives than people without the disease, according to a new study by Pennsylvania State University College of Medicine researchers. The risk of patients' taking their own lives varied by the type of cancer they had, as well as such factors as age and gender. Overall, people with lung, head and neck, and bladder and testicular cancers, and Hodgkin’s lymphoma were more likely to die by suicide than people with other cancers. In addition, elderly white males with cancer were more likely to take their own lives than were other cancer patients. “Even though cancer is one of the leading causes of death in the United States, most cancer patients do not die from cancer. The patients usually die of another cause. There are multiple competing risks for death, and one of them is suicide,” said Nicholas Zaorsky, a study author and radiation oncologist at the Penn State Cancer Institute. The Penn State study, published Monday in the journal Nature Communication, was based on data from the National Cancer Institute’s Surveillance, Epidemiology, and End Results. It included data for more than 8.6 million people diagnosed with invasive cancer — cancer that spread beyond the tissue it originated in — between 1973 to 2014. Of those individuals, 13,311, or 0.15 percent, took their lives. That percentage was a relatively small proportion of the people with cancer whose statistics were considered. However, the researchers noted that in addition to their findings being four times the rate of general population, the suicide risk the Penn State group documented was twice the rate reported in a similar 2002 study. “The interesting thing we found was that it does seem to matter at what age a patient is diagnosed and what type of cancer the person has,” Zaorsky said. 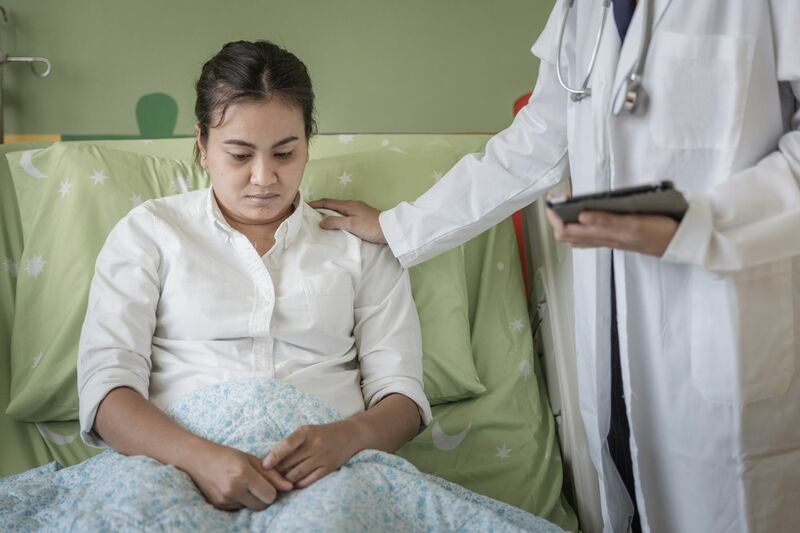 For example, suicide risk seemed to decrease five years after a cancer diagnosis in general, but the risk remained high for patients with Hodgkin’s lymphoma and testicular cancer. For patients diagnosed before age 50, most suicides occurred with leukemia and lymphomas. With patients diagnosed after age 50, the highest risk was with cancer of the prostate, lungs, bladder or colorectal cancer, especially among white, unmarried men. The study’s findings could help in the development of guidelines for screening cancer patients for depression or other emotional or mental distress, the author said. The researchers did not have access to information about how many of the patients in the sample were diagnosed with depression or other emotional distress.